The purpose of this award is to provide start-up funds to initiate an innovative research project in regenerative medicine and stem cell technology. NYSCF is soliciting applications from early career investigators for Innovator awards in neuroscience. Applicants are encouraged in the fundamental areas of developmental, cellular, cognitive and behavioral neuroscience, broadly interpreted. Applicants need not be working in areas related to stem cells. NYSCF is soliciting applications from early career investigators for Innovator awards to be used for exploring the basic biology and translational potential of stem cells. This FOA aims to support the initial stages of development of entirely new or next-generation placental imaging and assessment technologies and methods that will increase our capability to safely assess human placental structure and function in vivo throughout gestation. Junior faculty members at the MD or PhD level from a wide variety of disciplines at Emory University, Morehouse School of Medicine, or Georgia Institute of Technology who are committed to an academic career in clinical and/or translational research and who have excellent potential to become independent clinical investigators are encouraged to apply. The KL2 award provides support for didactic and mentored research training for junior faculty members committed to a career in clinical investigation. The Detroit Urban Research Center is pleased to announce a nationwide, year-long capacity building opportunity for "community-academic" teams focused on improving health equity. Question & Answer Conference Call will be held on Thursday at 2:00 p.m.
Georgia Tech’s 8th annual course focusing on the business and economic issues associated with the field of Regenerative Medicine. Intended for business executives, financial market managers and analysts, technology transfer and development personnel, senior and junior scholars, and managers in government, academia, and business sector-involved corporations. Presented by Dr. Charles Moran in EUH D at 11:00 a.m. Presented by Donna Spiegelman, ScD, Professor of Epidemiologic Methods, Harvard T.H. Chan School of Public Health and Recipient of NIH Director’s Pioneer Award. Dr. Spiegelman’s research is motivated by problems which arise in epidemiology and require biostatistical solutions. Her talk will focus on applying statistical approaches to implementation science research. Sponsored by Emory Global Diabetes Research Center, the ACTSI, and RSPH Departments of Global Health, Biostatistics, and Epidemiology. The Emory IRB will deliver a concise webinar to provide an overview of the informed consent process. The presentation will highlight some essential elements of using an ICF. View webinar | Questions? Georgia Tech’s 23rd Annual Suddath Symposium features the latest developments in the fields of bioengineering and bioscience. This conference held in Zuiderkerk, Amsterdam will bring together key international stakeholders in translational research. Experts will present and discuss the main challenges in translational research, together with the new developments that EATRIS ERIC – the European Infrastructure for Translational Medicine, part of the European Research Infrastructure Consortium – contributes to the field. NCATS Director Chris Austin, MD, will serve as one of the keynote speakers on May 28. 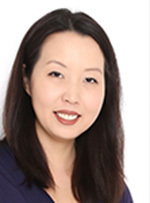 Jeanie Park, MD, ACTSI-supported investigator and assistant professor of medicine, Renal Division, Emory University and Atlanta Veterans Affairs Medicine Center, studied a possible new treatment for chronic kidney disease (CKD): tetrahydrobiopterin. The Atlanta Daily World is running a New Pittsburgh Courier monthly series on health topics. This series is in partnership with the Pittsburgh CTSA’s Community PARTners. This issue's focus is Environmental Health.